Summary: Have you ever had a question about something that is factual and you wish you had an expert to ask or have that expert do the calculations for you? Wolfram Alpha is what you need to get that done. Wolfram Alpha is an amazing tool that everyone should use when they have real questions to ask about many things that can be calculated. 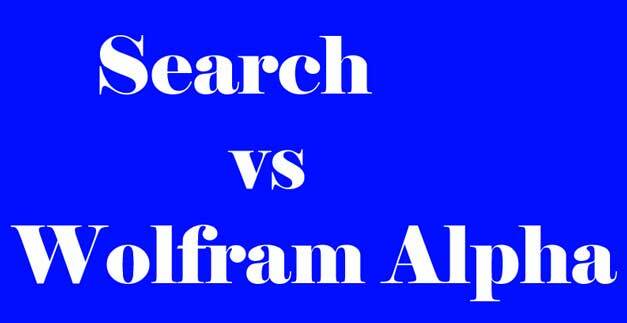 Wolfram is more than just an ordinary search engine, such as Google or Bing. Wolfram carries out actual calculations based on the questions that you entered into the search form. Therefore, when someone asks you a question like "How fast can humans run?" If you entered that information into Google you would get about 24,000,000 results spread over hundreds, if not thousands of pages(not counting the ads). However, if you entered the same query into Wolfram you would get the actual results of 27 MPH by Usain Bolt in a no-nonsense display as outlined below. How Does Wolfram Alpha Work? Wolfram works by actually doing the calculations using built-in formulas and calculations created by experts in various fields. Wolfram|Alpha's long-term goal is to make all systematic knowledge immediately computable and accessible to everyone. Therefore, by just entering your query into the search form, Wolfram wants us to be able to compute anything calculable. I really like the tool and I think that you should definitely bookmark this site, especially if you find yourself asking a lot of questions. Have you ever tried Wolfram? Share your thoughts below. Spelling city is a web based application that allows students to become proficient spellers in a fun and engaging way. Also, Spelling City allows parents and teachers to signup and create profiles for their children/students and assign them spelling lists and spelling activities (upgrade-$). Students are not allowed to directly create an account. However, their accounts can be created by parents and/or teachers. The student’s activity will then be monitored by the parent/teacher through their dashboards. To take advantage of the free aspects of the site, the student will just navigate to the site, enter their spelling words, and get to business with the free tools. A very useful feature of Spelling City is that children of all ages and learning abilities can use their own personalized lists in a variety of learning activities that helps to reinforce correct spelling and word meaning through fun learning games. Therefore, this is a good way for a teacher to differentiate the spelling activities that students receive. Our mission: efficient game-based study of literacy skills using any word list. Registration is free for the average user. However, if you want additional features beyond what the free account offers, you will have to upgrade to their premium, ad free package. They have packages for the family, the classroom and school wide plans. Getting started with SpellingCity is pretty straightforward. The student lands on the front page and they create their list of words. Then they select the activity that they would like to start with to help them learn those words. Adults, on the other hand, can create an account and choose whether or not to accept the premium package. Visit SpellingCity today and get started with your spelling activities. Are you looking for cool math games? Look no further! How about cool games that will also reinforce educational concepts? You will definitely find them here. This site is all about games, games and more games. The quality of the games are some of the best that you will come across, whether free or paid. What makes SheppardSoftware.com uber cool is that the games are totally free, much like Coolmath.com. The only drawback, if you can call it a drawback, is that the site is ad supported. If you want an ad-free version of this site you will have to upgrade to a paid version that has the same games without ads.